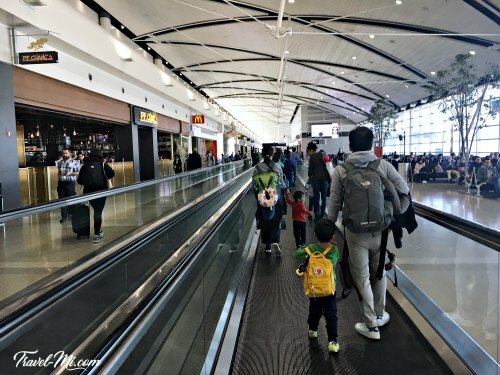 Learn to navigate Detroit McNamara Airport like a pro! Be sure to give yourself plenty of time so you can eliminate stress. We always plan to arrive at the airport two hours prior to our flight. 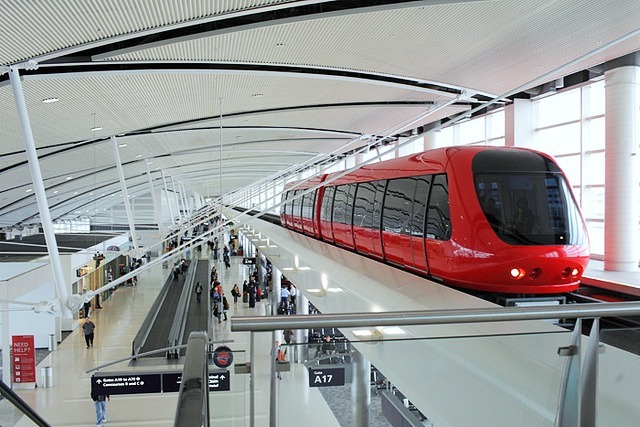 Will you be arriving at the Detroit Airport by personal vehicle or rental car? Are you wondering HOW AND WHERE TO PARK? See our tips here. I've Arrived at the Terminal, Now What? After arriving at the terminal with your bags, proceed to the bag check-in area for your airline to drop off your checked bags, obtain tickets if necessary and have any questions answered. Next, you will head to the Transportation Security Administration (TSA) checkpoint. Make sure you have your ticket and Identification ready. You will need to hand those to the security officer prior for inspection prior to baggage inspection. TSA Pre-Check screening checkpoints are located on the ticketing levels at both the McNamara Terminal and the North Terminal. There are many TSA workers in the area if you need help to navigate Detroit McNamara Airport. EMPTY YOUR POCKETS OF EVERYTHING. PUT AWAY YOUR ID-You no longer need it after showing it to the TSA Agent at the start of the check point. TSA screens approximately 4.9 million carry-on bags for explosives and other dangerous items daily. Make sure you do not have a filled plastic water bottle in your bags! Consider removing food or snacks such as fruit, health bars and sandwiches from your carry-on bag and placing it in a bin. Removing food is not a requirement, but doing so may help the bag check process go faster. A TSA officer will be available to guide you through the process. If you are preparing for your flight, be aware that how and what you pack can impact the screening process. Be sure that you check for prohibited items and remember to follow the 3-1-1 liquids rule meaning, you are allowed to bring a quart-sized bag of liquids, aerosols, gels, creams and pastes through the checkpoint. These are limited to 3.4 ounces (100 milliliters) or less per item. Watch a TSA Video about the rule here. More packing questions? Click here for TSA help. Be sure to stay with your gray bins until they have entered the x-ray machine. You are then ready to pass through the full body scanner. 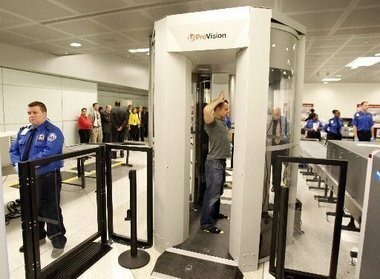 Once your bags have entered the x-ray machine, wait outside the TSA full body scanner until a TSA agent signals you to enter. Place your feet on the yellow feet indicators in the machine, raise your arms above your head like the diagram inside the machine shows and hold still. The scan is very fast. You may exit when the TSA agent indicates the scan is finished. If anything triggers the agent as suspect, you will be subjected to a quick pat-down. To reduce your chances of a pat-down, wear pants without glitter or rhinestones and reduce jewelry. I like to make it easy on myself. 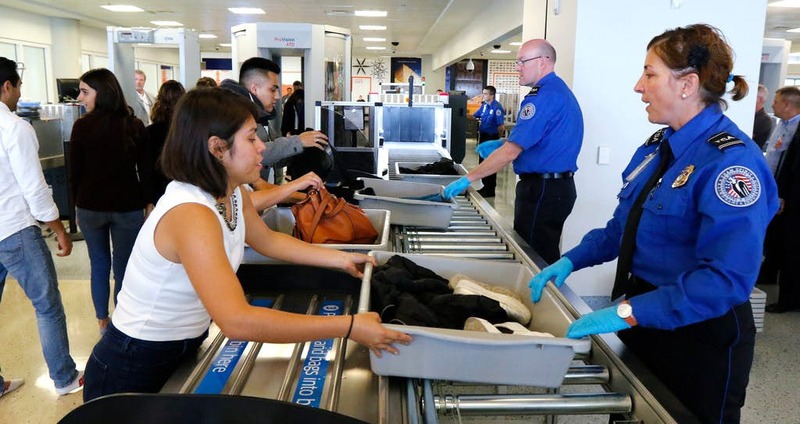 Pat-down procedures are used to determine whether prohibited items or other threats to transportation security are concealed on the person. Even if you are a TSA Pre✓® passenger, you may at times receive a pat-down. A pat-down may include inspection of your head, neck, arms, torso, legs, and feet. This includes head coverings and sensitive areas such as breasts, groin, and the buttocks. The officer will advise you of the procedure before it begins to help you anticipate any actions before you feel them. TSA officers use the back of their hands for pat-downs over sensitive areas of your body. 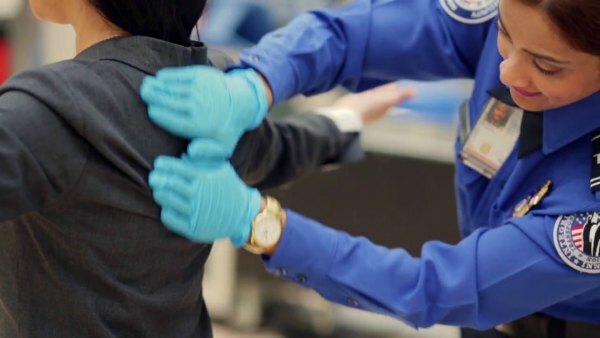 In limited cases, additional screening involving a sensitive area pat-down with the front of the hand may be needed to determine that a threat does not exist. Let them know if you have trouble lifting your arms or moving a certain way. So you've passed through the TSA Checkpoint successfully and you need to find your gate. 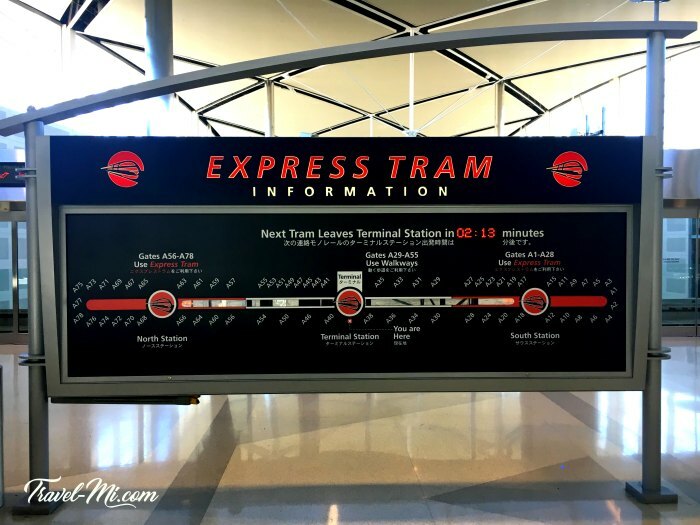 It's time to navigate Detroit McNamara Airport. Check the Express Tram Info Board to see where your gate is located. Follow the signs to the Express Tram platform which is up an escalator. Upon arriving at the platform, you will notice the Express Trams will go in both directions on either side of the platform. Simply check the red "Gates" board located above both sides of the tram station (shown in the photo below) to verify which tram you should board. 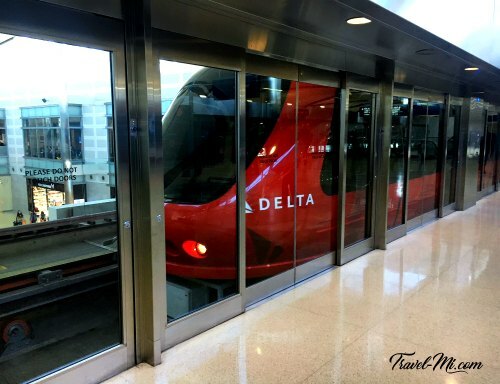 The trams save you time and energy as you navigate Detroit McNamara Airport. Be ready as the Express Tram only stops for a short amount of time. Hold the hand-rails tightly or take a seat. Sometimes the tram lurches to a start or stop. 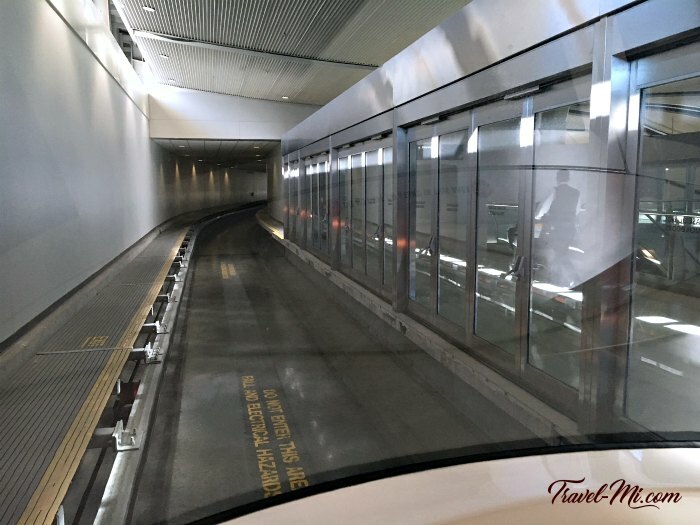 Tip: It's a lot of fun to watch the tram speed down the tunnel! This is the inside of the Express Tram. 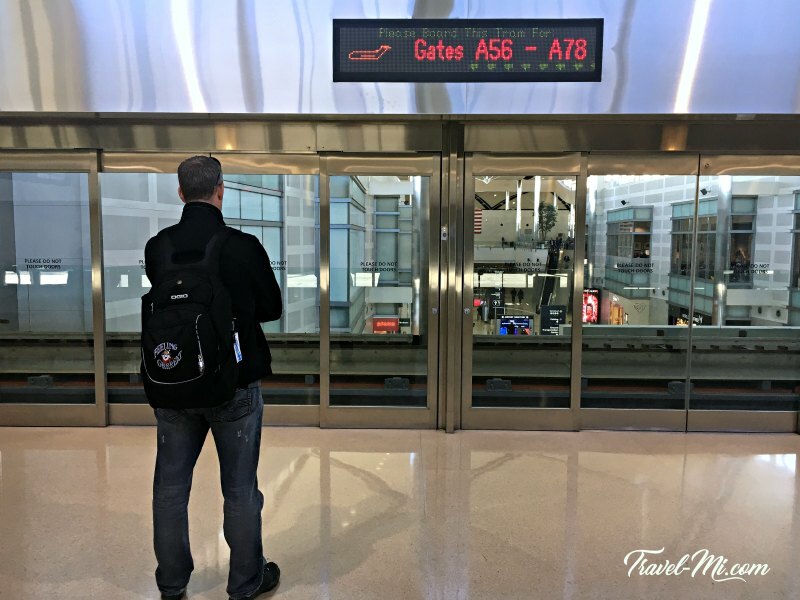 It's such a time saver as walking the long distance to your gate would be exhausting. 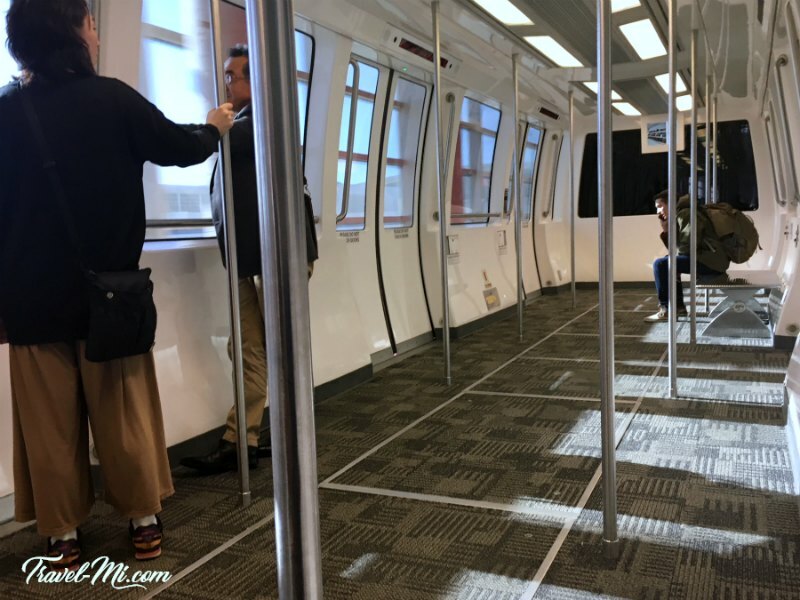 Be sure to use the tram as you navigate Detroit McNamara Airport. 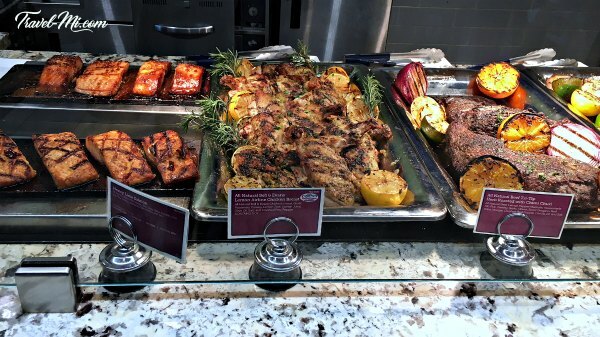 McNamara Terminal's dining options are awesome! You will enjoy exploring all the different restaurants as you navigate Detroit McNamara Airport. Try P.F. Chang's (our favorite! ), Longhorn Steakhouse and Chic-fil-A. I ALWAYS go to Plum Market to grab fresh cold salmon salad, chicken salad or a pasta option behind the counter at the back. They have fresh salmon and chicken dinner options also. 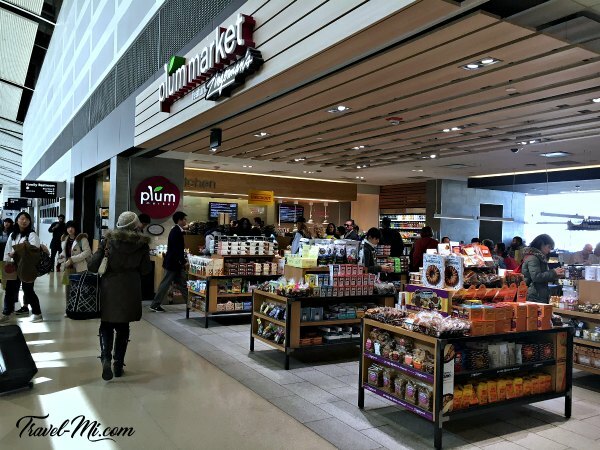 Plum Market packages your meal very nicely to eat immediately or to take on the plane. Fantastically fresh, healthy and yummy. Don't forget to ask for free crackers with your meal. mmm. Plum Market also has coffee, drinks and options from the famous Zingerman's Deli. You'll find great variety here! We hope our tips helped you navigate Detroit McNamara Airport. If you have any other suggestions, restaurant recommendations and tips, please let us know! We love to hear from you! Click here for more information Detroit Airport Parking. 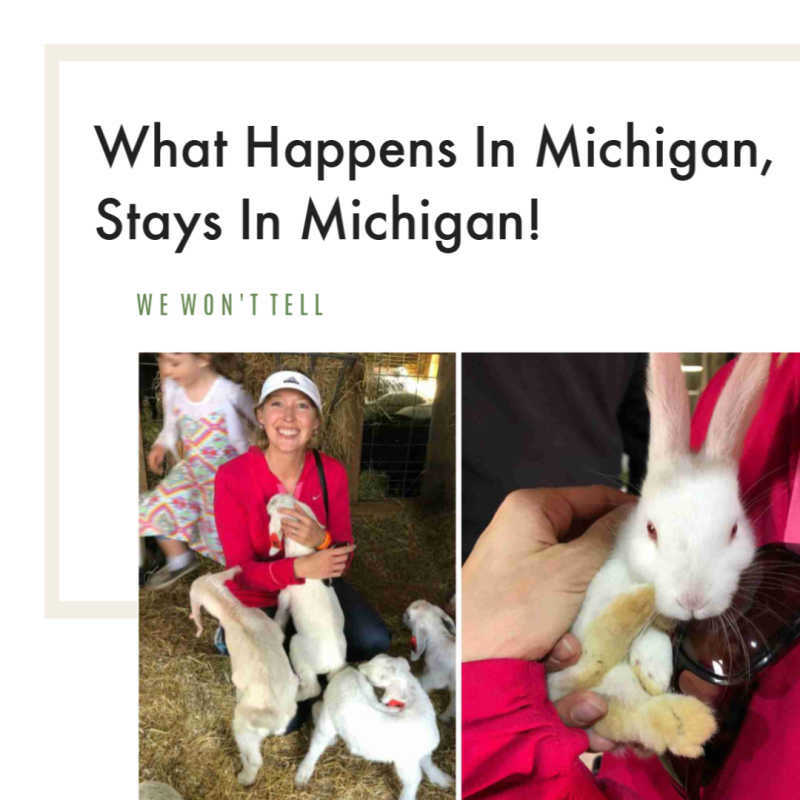 So many great things to do in Detroit! !